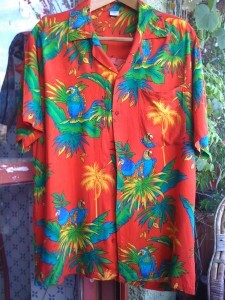 We are rarely seen in anything else in or out of the house. 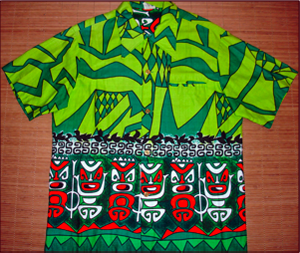 We don’t collect them we wear them. 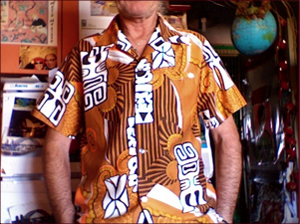 We don’t pay huge sums of money for them either – in fact the cheaper the better. 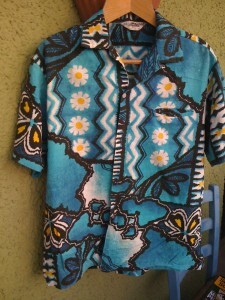 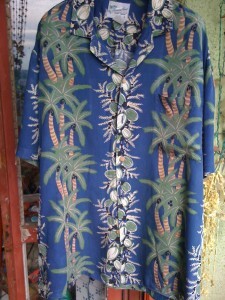 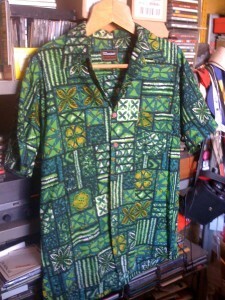 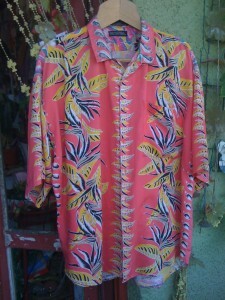 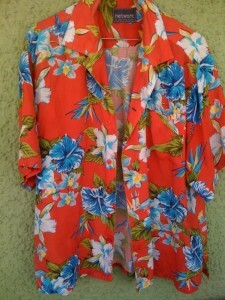 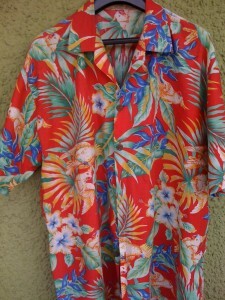 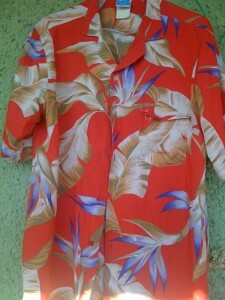 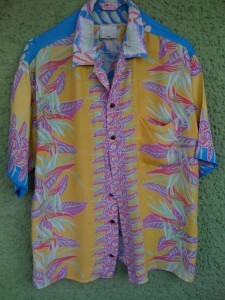 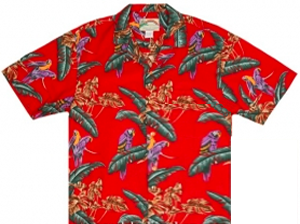 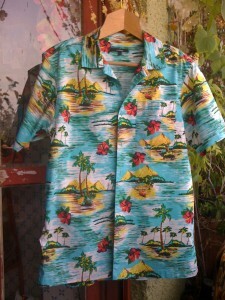 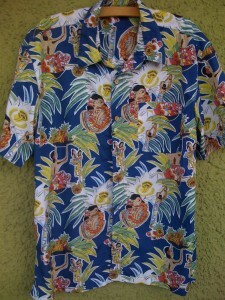 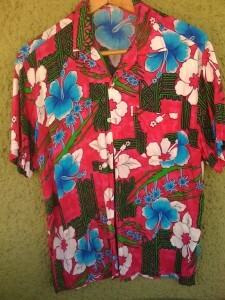 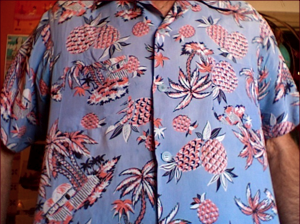 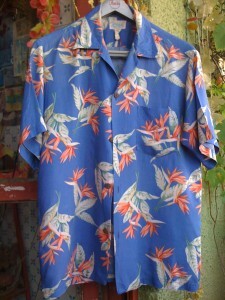 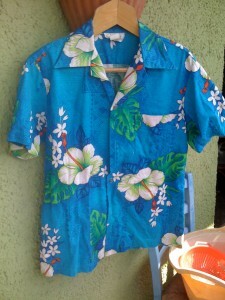 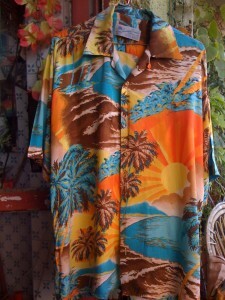 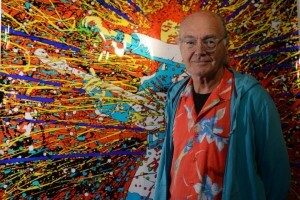 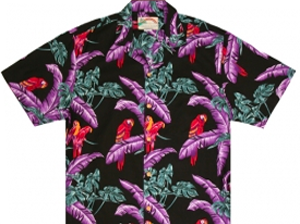 Hawaiian and Tiki style shirts and fabrics are tropical pop-art. 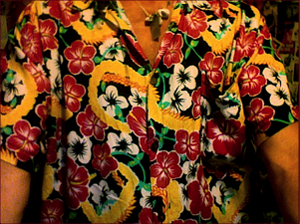 There are only three books about Hawaiian shirts and their history. 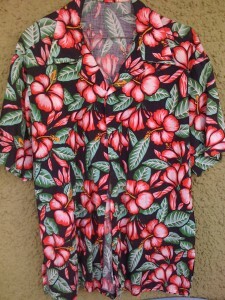 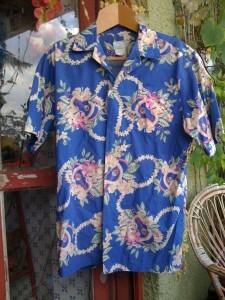 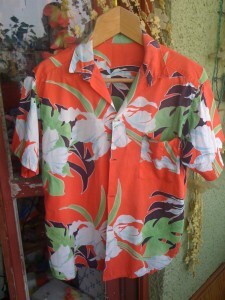 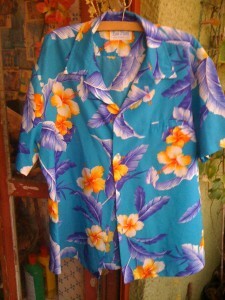 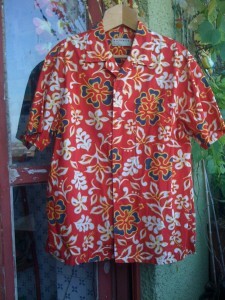 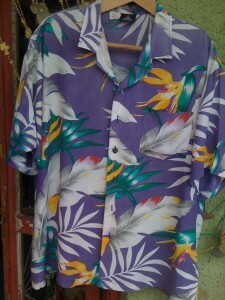 Ellery Chun was the man who first made and sold the ‘aloha shirt’ in 1932 in Honolulu on Oahu in Hawaii. 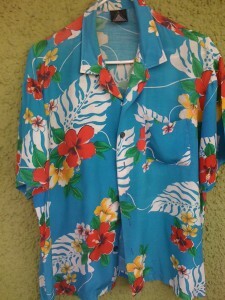 If you enjoy these here go to the Wire web site where they kindly featured several more of our humble collection – Wire Hawaiian Shirts.